Swarm Blog: Sky Ninja, Sky Ninja, Chop! 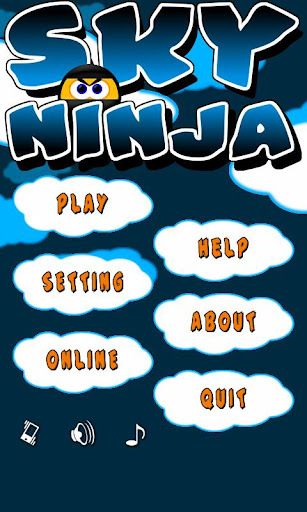 The latest Android game from Gushiku Studios LLC goes by the title of Sky Ninja. Everyone loves ninjas, and this game is no exception! 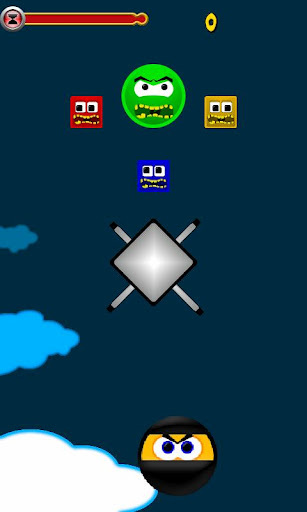 In Sky Ninja, you can tread the unfriendly skies by dodging, ducking, and zig-zagging your way around obstacles and baddies. Use your lightning fast reflexes to navigate through 20 different levels and countless upon countless foes. It's great ninja fun for everyone! This game is also Swarm-enabled to give you global leaderboards and piles of achievements. Unlock achievements and see how you stack up against your fellow ninjas from around the world. Do you have ninja skills? There's only one way to find out. 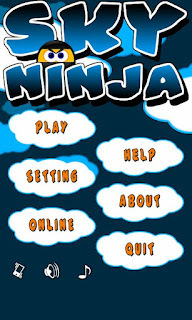 Download the Sky Ninja Android game from Google Play today! Niiiiiiiiinja!